Meet sweet Francesca, who arrived Sunday evening. 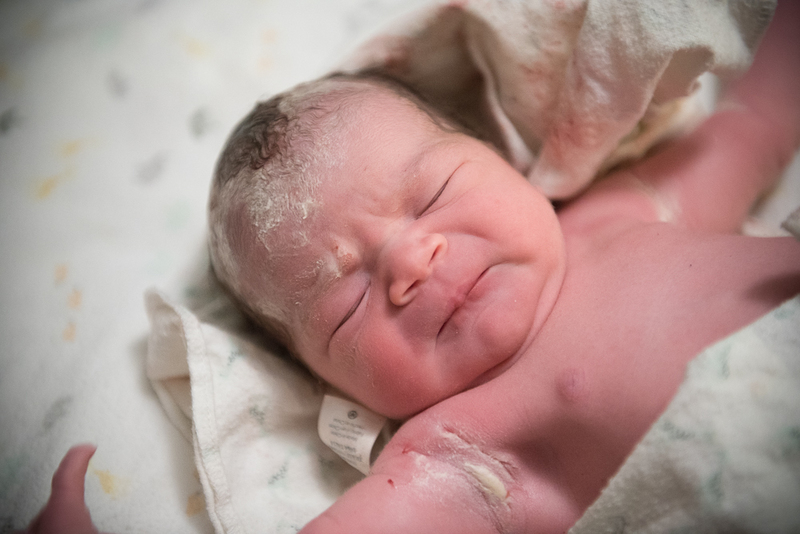 Once she decided she was ready, labor was fast and intense. Her mama worked hard, with great support from dad, to get her here. She weighed 7 lb 7 oz, just the same as her very excited big brother. Her birth is proof that it is never too late to choose the birth setting and type of care that you want. Although we didn’t meet until just a few weeks before labor, mom felt well-supported and had her choices honored for her first home birth.